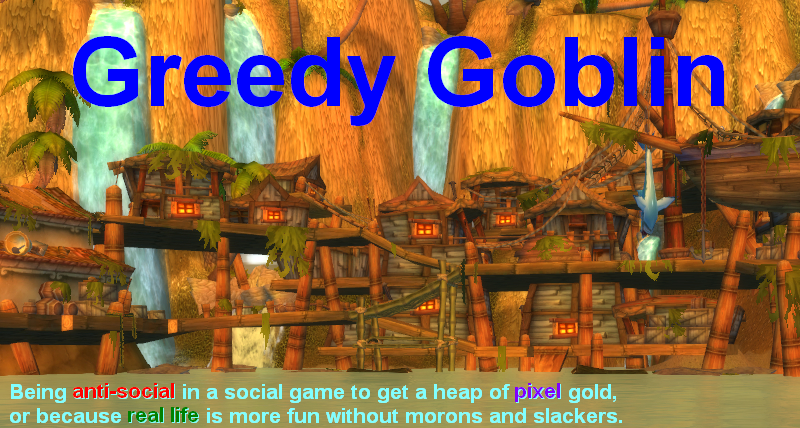 All together 1.06M profit over 4200 seconds (I have +2 cooking armor) or 0.9M/hour. That's not much, especially if you consider that you have to grab a new utensil every 10 minutes, so you can't leave your computer. Or you can use Balneos utensil, which costs 10x more per use and takes 2x more time to cook, but can be left for two hours. Seems like much hassle for little. So far I didn't mention the real profit of cooking, the fifth collectible, that can be turned in for contribution points: I got about a dozen daily quests worth of XP for my beer. Replacing the utensil once in 10 minutes is much less clicks than doing daily quests or even leveling alts for contribution XP. 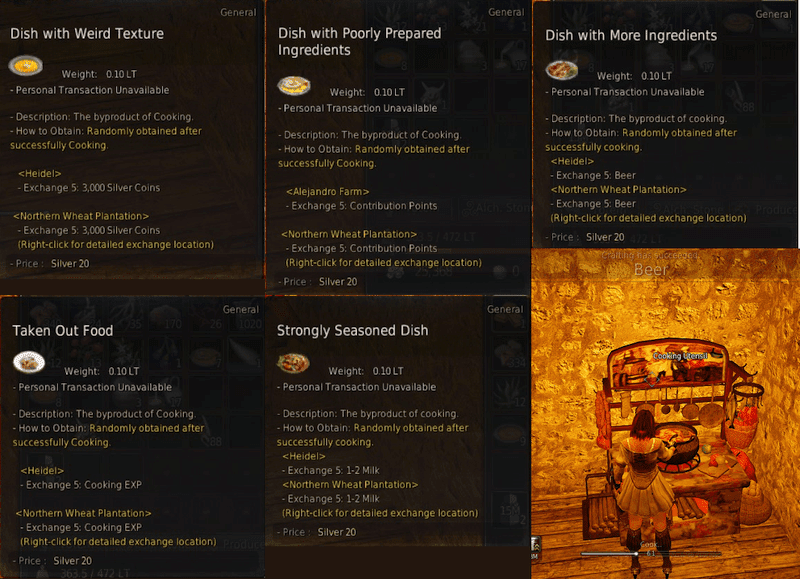 Cooking is flat out the best way to get contribution points. 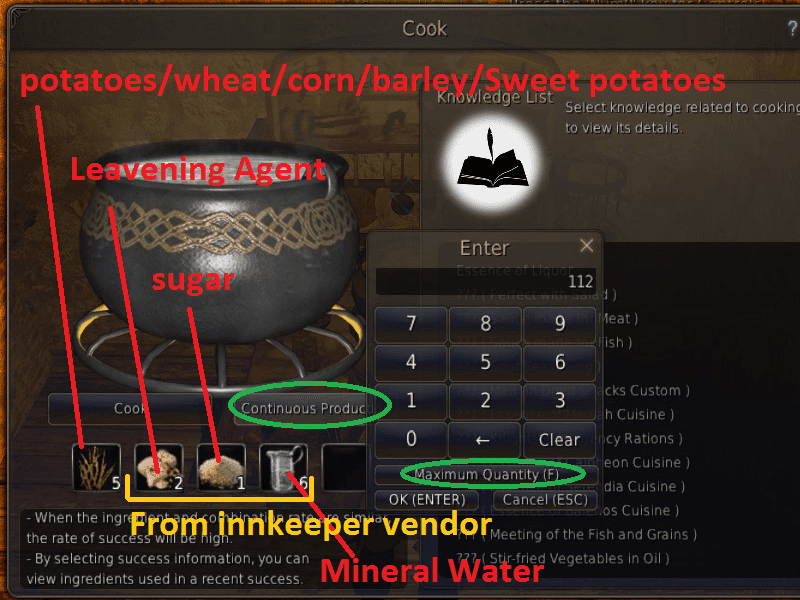 Beer material (corn, wheat, barley, potato, sweet potato) is in large supply from workers (on the marketplace they are permanently missing), so if you can replace utensils or just leave the computer with a Balneos utensil for two hours, your contribution points will just keep rising with minimal effort.